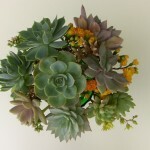 Create a succulent bouquet with already wired succulents. Let your creativity guide you by adding fresh flowers of your choice. 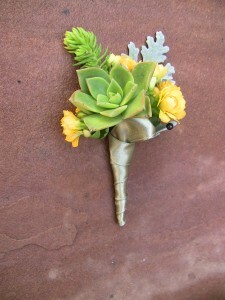 This bouquet will last weeks before is ready to plant again. 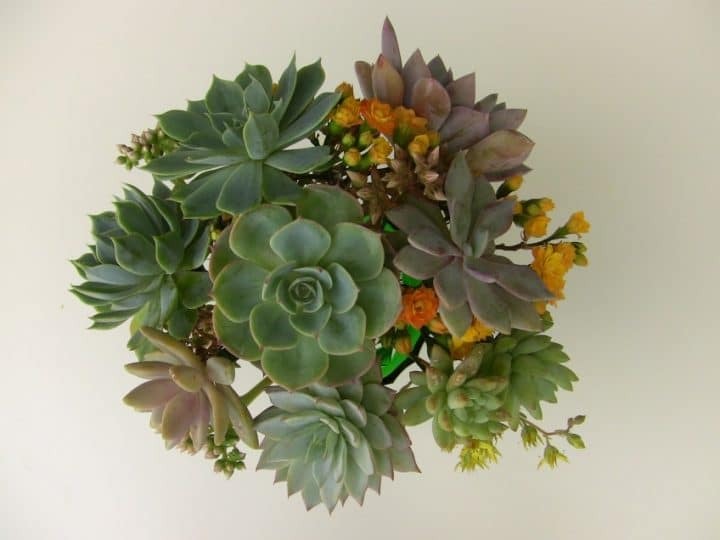 I will select a set of 6-8 succulents of various sizes plus kalonchoe bloom and any other succulent blooms available to wire, all you have to do is arrange them in your favorite vase or glass container, no water required if you don’t add fresh flowers. 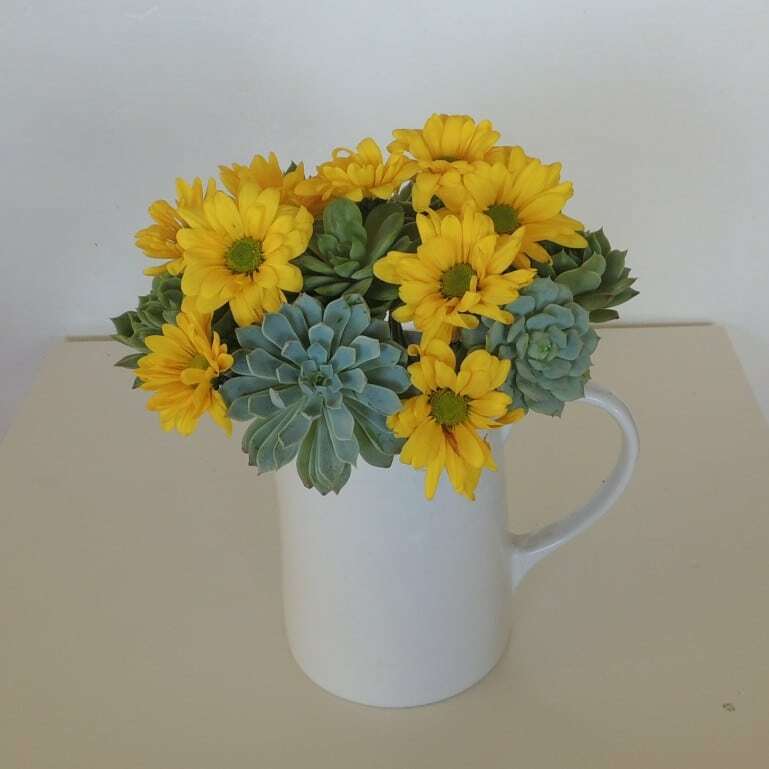 When flowers die you keep the succulents and reuse them with a different set of flowers. 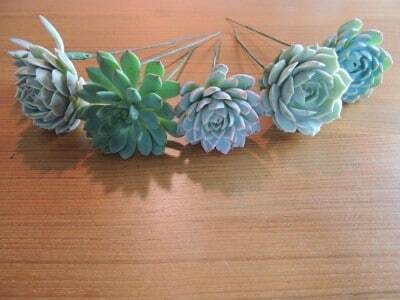 or simply replant your succulents.